If you are having an issue with the Authentication Wizard opening when you access the Exams Password page please make sure the Language is set to English. If the default Language is set to Spanish, please try the following troubleshooting steps to solve the issue. 1. 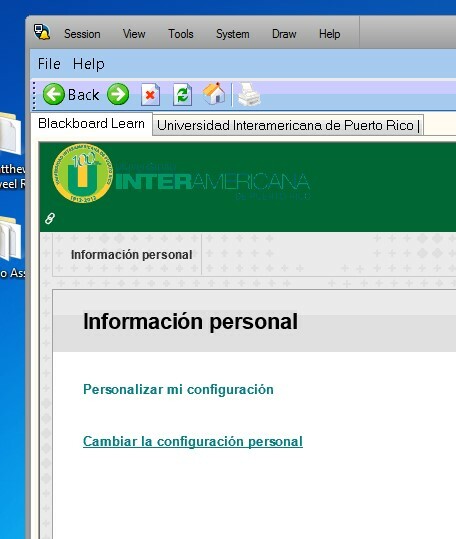 Load the Securexam software and log in with credentials to the InterAmerican Black Board website. 2. Click on the drop down next to your username (gray bar) at the top right hand corner of the main page and click on the word “Configuration”. 3. On the “Configuration” menu, click on “Personal Information”. 4. 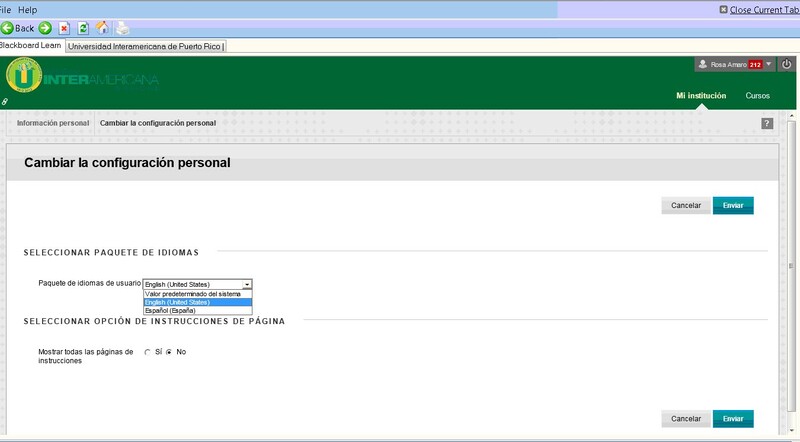 On the “Personal Information” menu, click on “Change Personal Configuration”. 5. 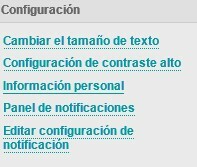 On the “Change Personal Configuration” page, change language from Spanish to English using the drop down next to “User Language Pack”. 6. 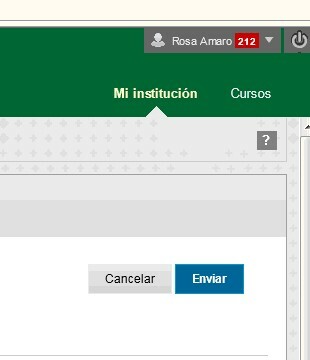 Once the corresponding language is selected click on the “Submit” button to apply the changes. If you continue to experience issues after performing the above steps, please contact us back.